The Tower Bridge. Photo credit Sherry Wernicke, Luxe TravelingMom. 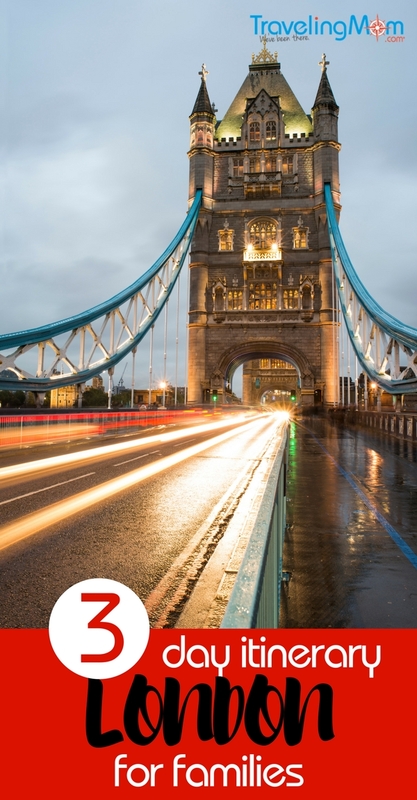 London is one of the most famous, interesting, and popular cities in the world with good reason. Filled with amazing history, culture, and neighborhoods, discover London and its vibrant and family-friendly atmosphere. But while it may be a big city, it is easy to navigate, use public transportation, and find many sights that are free to visit, making it perfect for a family vacation. So, this 3-day London itinerary for families should be enough to get a taste of all the city has to offer, but there’s no doubt you’ll want to go back! Enjoying afternoon tea at Claridge’s. Photo credit Sherry Wernicke, Luxe TravelingMom. Deciding which attractions to include in this itinerary was my biggest dilemma because there is such a wealth of unique, fantastic sights and things to do in London. But after weeding out the sights that don’t live up to the hype and places that are similar to what you could see in the States, I’ve ended up with what I believe is an ideal sightseeing plan for your family. Read on for my suggestions for 3-day London itinerary for families. 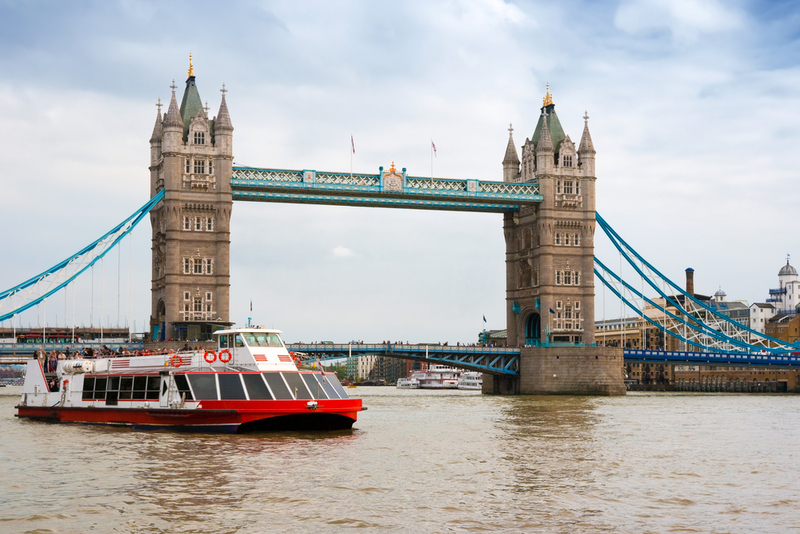 Public transportation is easy and convenient in London and kids under 10 ride free. If you have little ones in strollers, buses (which don’t accept cash) may be easier to navigate than the tube, because of the stairs. Of course, cabs will be ideal, but they are very expensive. Use the gate entries and not the turnstiles on the tube, if you have kids under 10. Trips on the tube cost 2.40 pounds (max pure day is 6.60) and the bus 1.50 with kids under 11 travel free. Uber is also available in London. Buy either an Oyster Card or the London Pass online before you go, because you’ll get discounts. Oyster Cards have a prepaid amount on them and can be used for the tube, buses, trains, and river boats. 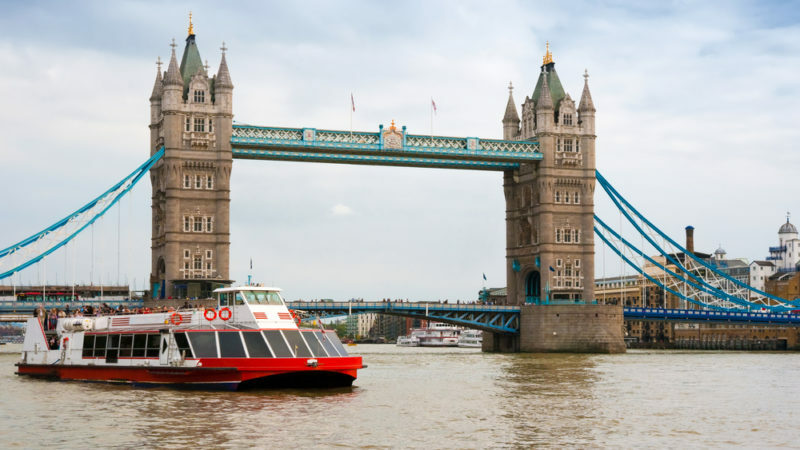 If you get the London Pass with Oyster Card, you’ll also get admission and fast track entry to sights such as the Tower of London and Hampton Palace, a river cruise, and Golden Tours hop on hop off bus access – you get free wifi. For 3 days for 2 adults and 2 children, the cost would be around $550 and you’ll get a 25-pound credit on the Oyster Card. Golden Tours Hop On Hop Off Bus at Royal Albert Hall. Photo credit Golden Tours. Always remember that it will probably take you longer to see sights – lines could be an issue – and get to the next attraction. Make walkit.com your new best friend. I’ve provided you with links whenever you see a “walk” that will give you directions, time, and a map on how to get to your next destination. When the kids need a break from sightseeing and history, head to one of the parks. London is so green with many fabulous parks. Also, you can even walk through them on your way from one attraction to the next. 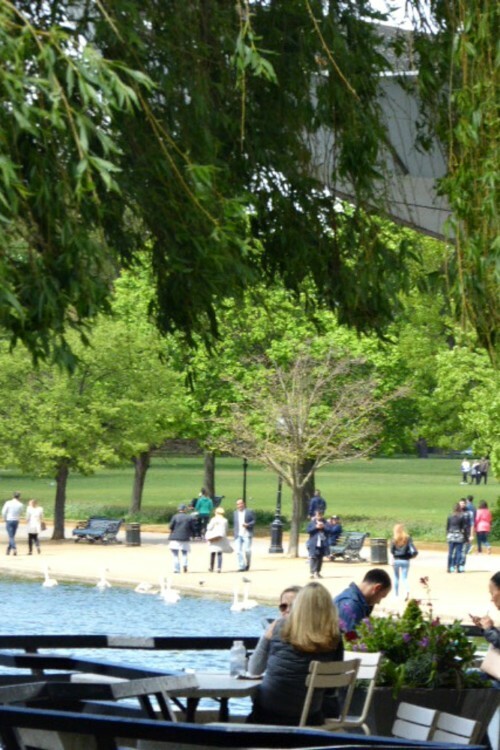 Favorites include Hampstead Heath, Regent’s Park, St. James’ Park, Kew Gardens, Battersea Park, and of course, Hyde Park. The beauty of London’s Hyde Park. Photo credit Sherry Wernicke, Luxe TravelingMom. Have the family read up on London’s history before you go. The kids will recognize sights when you get there and besides, it will be more personal and fun for them. Some recommended readings are Kids’ Travel Guide – London, London City Trails from Lonely Planet Kids, or Mission London: A Scavenger Hunt Adventure. Remember that sometimes doing nothing and just taking in the city has its merits. Don’t miss out on getting a real feel for the culture, life, neighborhoods, and people of amazing London. This should apply to any visit to a major city. Most of all, assume you’ll get back one day, so don’t rush everything along. Check online for free apps to many of the sights that will help you better navigate which exhibits and things you want to see most. If your family enjoys the theater and you’d like to do an event in the evening, be sure to check what shows are playing in the West End theater district. Most likely, you will have to deal with some jet lag on Day 1, so this days’ activities are being planned accordingly and can work whether you came in the day before or on the red eye. It’s probably best not to overfill the day with activities in case any children crash before it’s over. It’s also probably best to remain flexible with the schedule. I’ve included a lot of walking and being in the outdoors with a few museums thrown in for British flavor. While I believe the Changing of the Guard and Buckingham Palace are must see activities, just standing in front of the Palace waiting for this to happen is boring and tiring and especially if you have any jet lag and little ones. 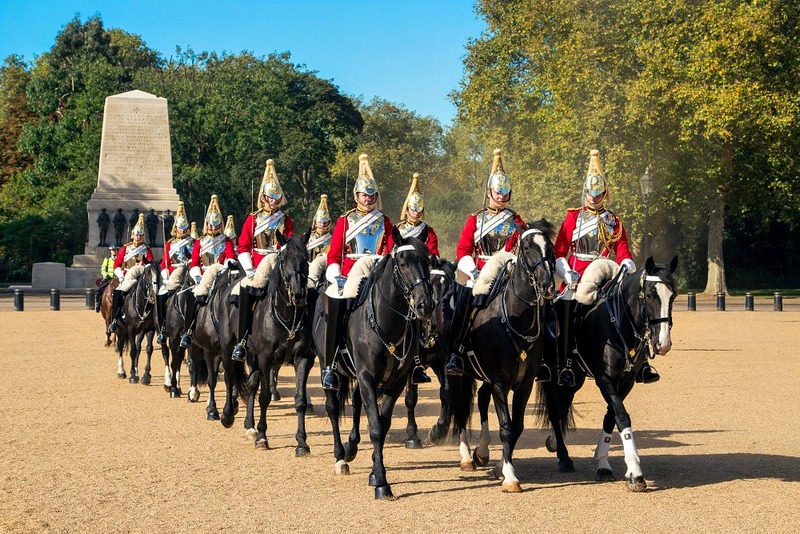 What I recommend instead is to take a Changing the Guard London Walking Tour with Fun London Tours. Enjoy your breakfast and then make your way to the Criterion Theatre by the Eros statue by 9:30 am and then let them entertain you and take you to the best viewing spots. You’ll finish around 11:20 am and enjoy the experience. Part of the Changing of the Guard ceremony at Buckingham Palace. Photo credit Sherry Wernicke, Luxe TravelingMom. 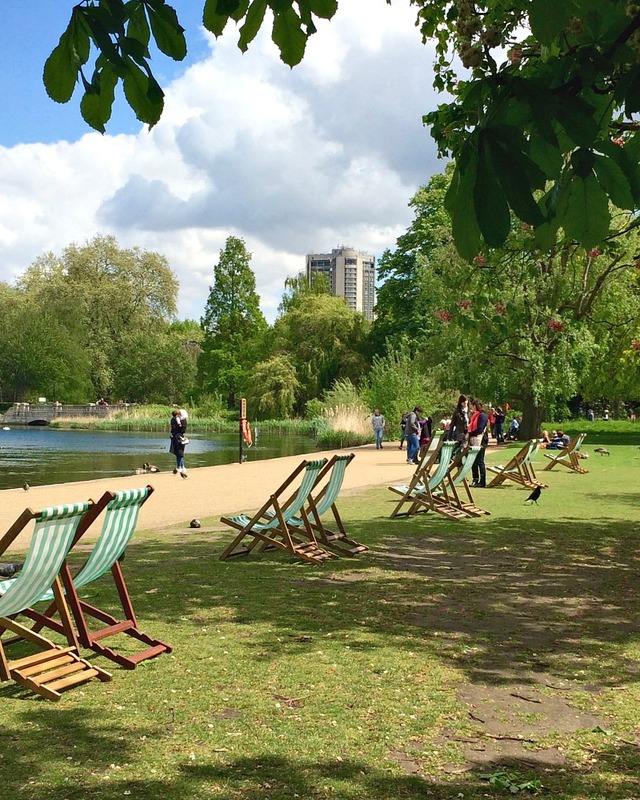 After your tour, walk over to Hyde Park through Green Park and just explore and enjoy all it has to offer. It should take you about 15 minutes to walk over. If it’s a nice day and you’re hungry, grab lunch outside at the Serpentine Bar & Kitchen or Lido Bar and Cafe. 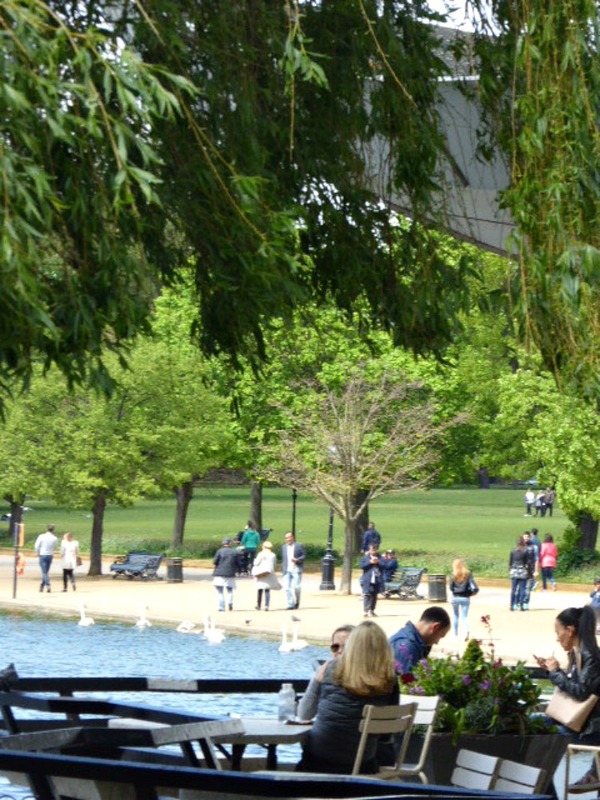 Both are modern British cafes with lakeside seating overlooking the Serpentine and are casual and easy with kids. View from Serpentine Bar. Photo credit Sherry Wernicke, Luxe TravelingMom. At last, get a taste of a few of the amazing and free, except for special exhibits, museums that London offers. Most also cater to children offering a wide range of activities to keep them engaged. Three absolutely wonderful museums are located right in the same South Kensington area. Depending on your time and interest, I recommend choosing two to visit that should take you about 3-4 hours. Your choices are Victoria and Albert, the Science Museum, and the Natural History Museum. On Exhibition Road, the Science Museum is a futuristic gem with seven floors of interactive, fun, and informative floors. Hence, there’s something for kids of all ages including a giant telescope, flying machine, and IMAX theater. The design to stimulate young minds really shows. There’s also always a special exhibit and you can even jump into a flight simulator or conduct your own experiments for an extra fee. 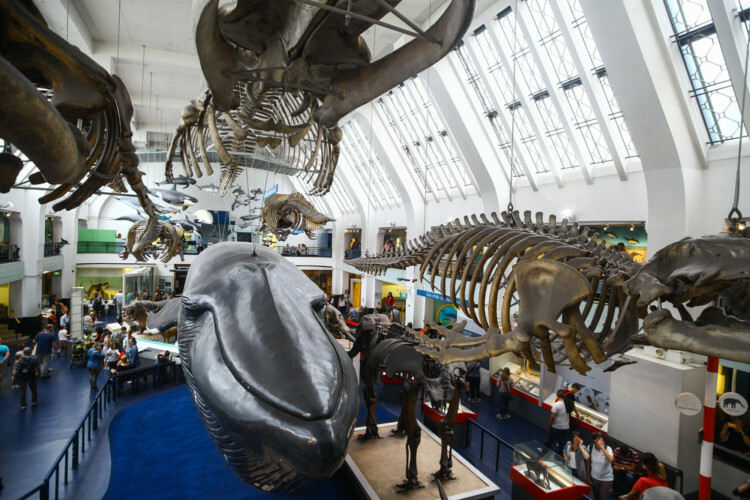 On Cromwell Road, this museum is filled with dinosaurs – a giant one greets you upon entry, whales, volcanoes, a tree museum, Creepy Crawlies, Human Biology Gallery, and a Sensational Butterflies exhibit in the front. It is everything and more that you’d want in a natural history museum. One of the galleries at the Natural History Museum. Photo credit Sherry Wernicke, Luxe TravelingMom. Also onn Cromwell Road, the V & A has a focus on decorative arts and design. It is one of my favorite museums and has one of the best cafes and courtyard gardens if you didn’t have lunch in the park. They have a Learning Station with backpacks full of activity trails for kids that turn the museum into a giant treasure hunt. They also have a Museum of Childhood with toy figures, dolls, games, etc. Foremost for a little shopping, it also has a gorgeous museum shop. This way you’ll get a good combination of sightseeing, walking, sitting on the bus, and enjoying one of the most British things ever – afternoon tea. 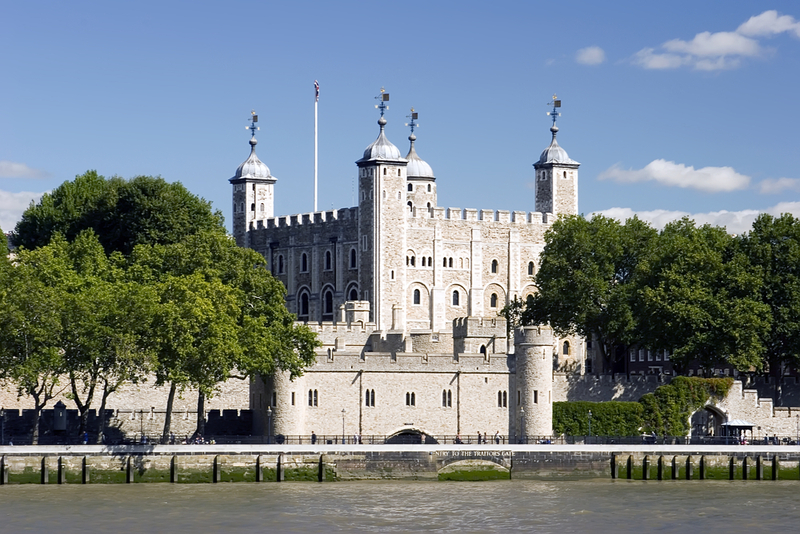 Visit the Tower of London first thing in the morning when it opens at 10am. Have your tickets pre-purchased or use your London Pass. Head to the White Tower which has a lot of kid-friendly activities and then see the Crown Jewels. The ravens and a Beefeaters tour may also be of interest. There are free guided tours throughout the day. A visit should take you several hours. The Tower of London on the river Thames, London. Photo credit Tower of London. When you finish, take a walk over the stunning drawbridge, Tower Bridge and see the exhibition. You’ll learn how the bridge was made, walk over a glass floor walkway, and have spectacular views of London. Stop for lunch at Tom’s Kitchen at 1 Commodity Quay, St. Katherine Docks. It’s just a hop, skip, and a jump from the Tower. I’ve eaten many times at the Tom Aiken’s delight in Chelsea and loved it. He has put together a special kid’s menu and serves comfort food favorites in a relaxed and informal environment. Plus, it overlooks luxury yachts in the marina. 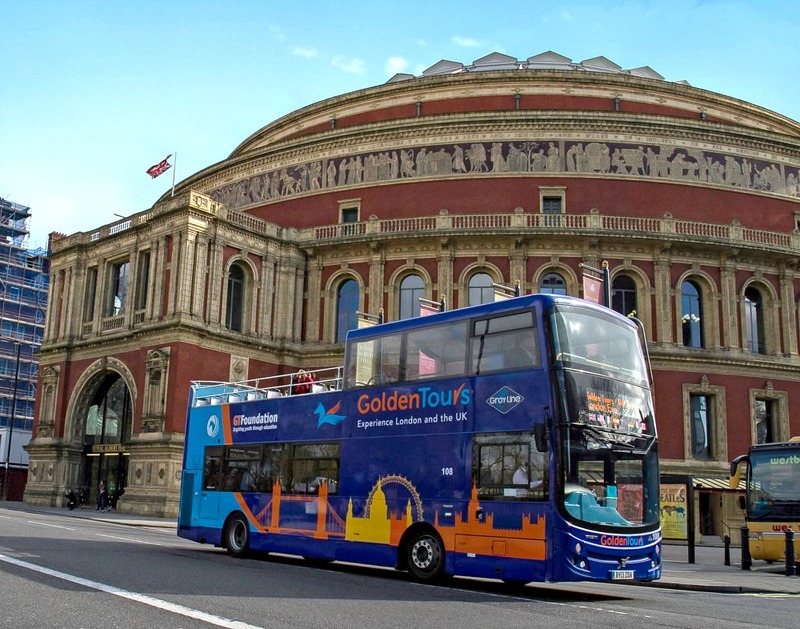 After lunch, take the blue route with a live guide hop on hop off tour on the Golden Tours bus that comes with the London Pass. Catch it at Tower Hill. You’ll get to see many of the tourist attractions and it gives you a great overview of the city. Get off at Whitehall and walk to the St. James Hotel and Club. 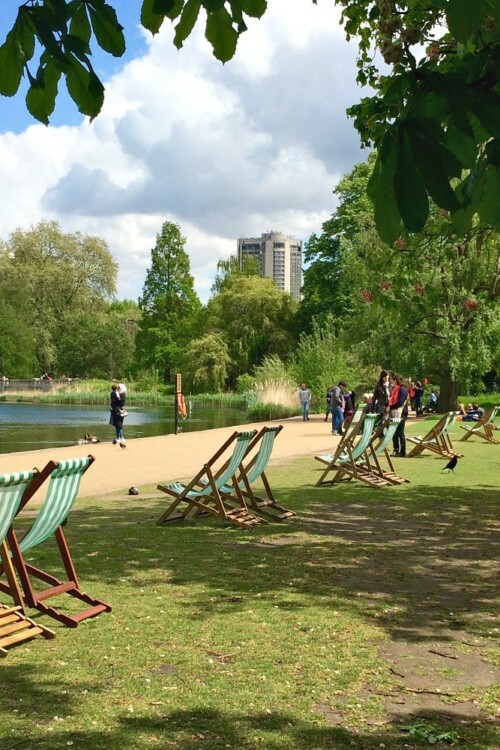 It’s a short walk and will give you a chance to see the lovely St. James Park. 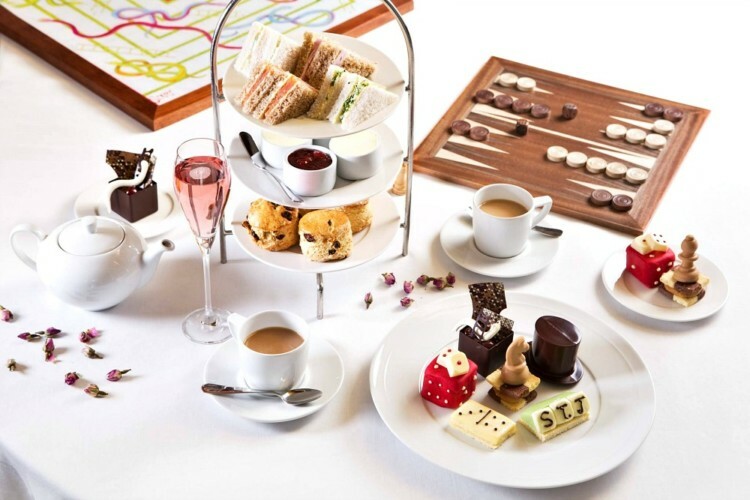 You have to experience afternoon tea service in London, because it is just so darn British. While you can find it at most hotels and tea rooms, St. James Hotel and Club offers a unique children’s tea which features board games and is called “It’s all in the game.” It goes from 3 – 5:30 pm and I recommend making reservations. Get the latest reservation possible and you can easily make this dinner. This could also be the night that you get theater tickets. On this final day, head out of the city a bit to see first-hand life in the days of Henry VIII to his Hampton Court Palace. Staffed with costumed characters from the time, you’ll see Tudor Kitchens, a world-famous maze and gardens, and reenactments of events. 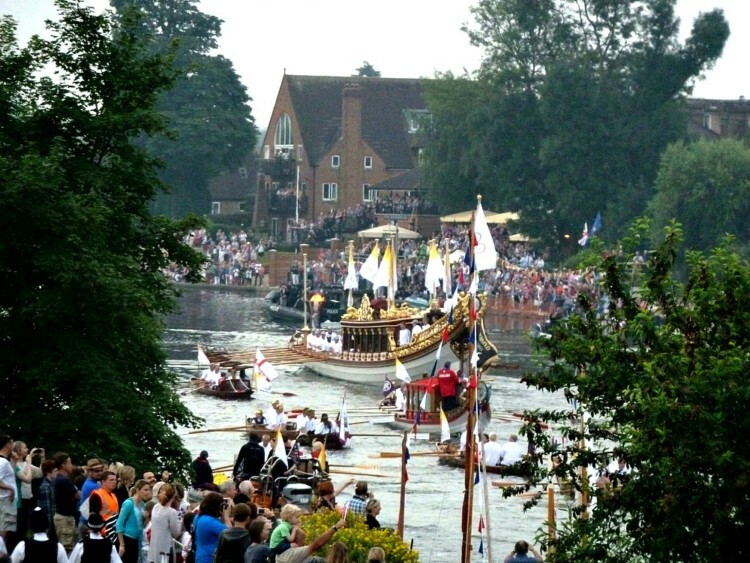 It’s also believed to be haunted by Catherine Howard. Make your way via any public transportation to Waterloo Station right by the London Eye. Take the train from Waterloo Station to Hampton Court Palace which opens at 10:00 am. It should take about 35 minutes and the station is across the bridge. You can use your Oyster Card for the train. Stay and have lunch at the cafe or self-serve restaurant before catching the train back to London. Part of the pageantry at Hampton Court Palace. Photo credit Sherry Wernicke, Luxe TravelingMom. I’m purposefully leaving this afternoon free for you to plan activities that I’ve not already included. 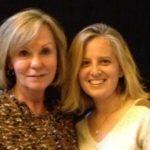 Knowing that our families consist of different ages and interests, it’s important that you have time to do something unique for your family. I am, however, giving you some ideas of activities I would consider not to be missed, but just didn’t have time to include in 3 days. There are a lot of family-friendly restaurants in London and many famous chefs who are doing children’s menus these days. London food is also wonderful, so forget any stereotype you’ve heard. I would recommend venturing into a neighborhood like Chelsea, Notting Hill, and South Kensington to see how Londoners live and eat. If you are going to be in town on a Sunday, you have to do a Sunday roast at a pub, one of Britain’s most beloved meals. Sunday roast at The Pig’s Ear. Photo credit The Pig’s Ear. Tredwell’s at 4A Upper St. Martin’s Lane in Covent Garden. They offer contemporary British fare with an 8-course children’s tasting menu. Tom’s Kitchen at 27 Cale St. Chelsea is from famous chef Tom Aiken. I’ve eaten here many times and loved it. He has put together a special kid’s menu and is open for B-L-D. The Mayfair Chippy at 14 North Audley St. in Mayfair is where to go for classic fish and chips and homemade ice cream. Hix in Brown’s Hotel on Albemarle St. in Mayfair. They offer a “Little Artist’s” menu, so you know the kids will be well taken care of. 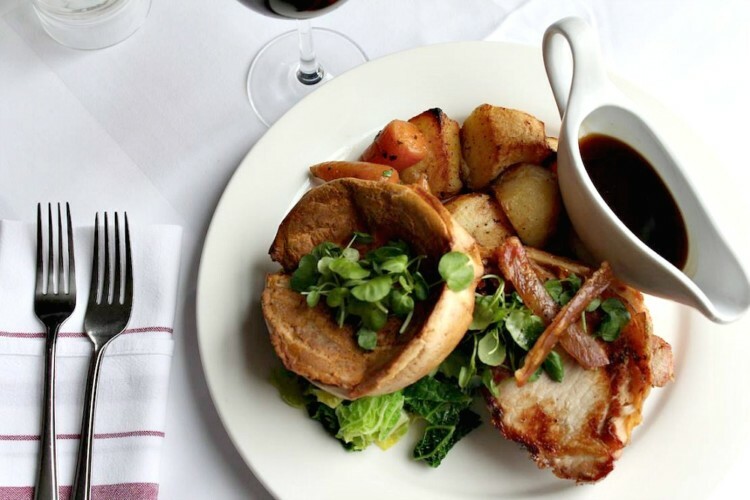 Several pubs for Sunday roast we enjoyed are The Pig’s Ear at 35 Church Street in Chelsea and The Clarence at 53 Whitehall in Trafalgar Square. But most pubs and gastropubs offer this fare, so you probably don’t have to look far. Finding a hotel right for your family should be easy in London whether you want a high end like Claridge’s or prefer less expensive accommodations. It’s best to stay in a hotel with a central location that gives you easy access to transportation and the attractions you want to visit. 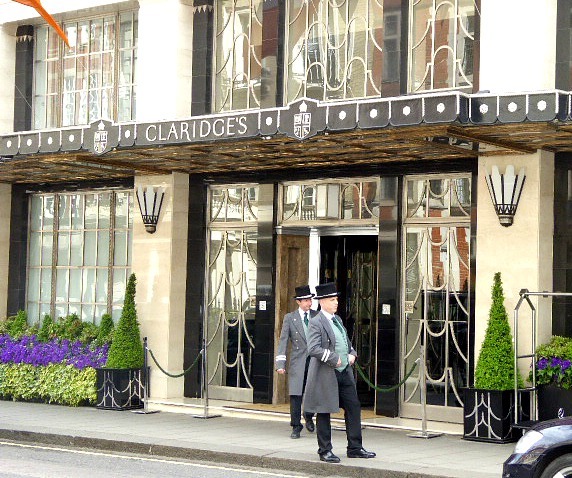 The doormen at Claridge’s London. Photo credit Sherry Wernicke, Luxe TravelingMom. Brown’s is the epitome of English character and luxury. 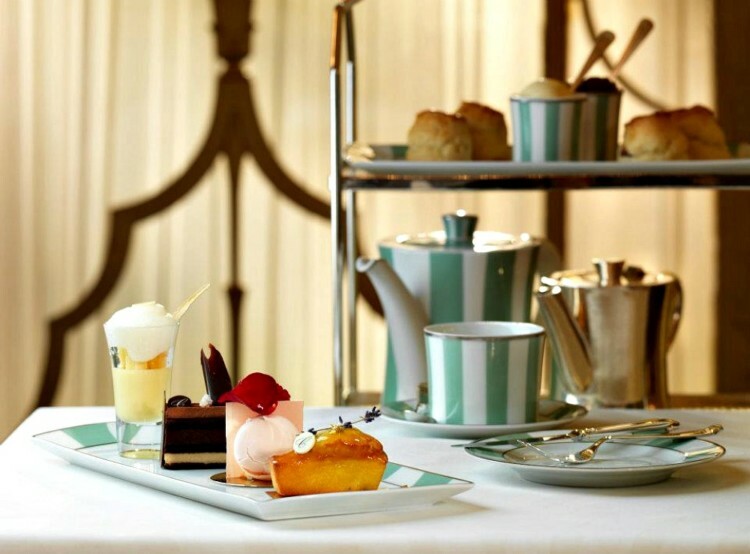 Most of all, it’s in a great Mayfair location, offers interconnecting suites, and has an amazing afternoon tea. The Ampersand is a more boutique-type hotel which makes it quiet and more laid back. You can get interconnecting rooms and small kitchenettes. It also has a game room. The St. James Hotel and Club is located in Mayfair and offers its own dedicated kids’ concierge, who will make “out of the box” family activities. Rooms can accommodate 2 adults and 2 children. If you want apartment-type amenities with hotel services, check out The Athenaeum, Europa House, and No. 5 Maddox Street.